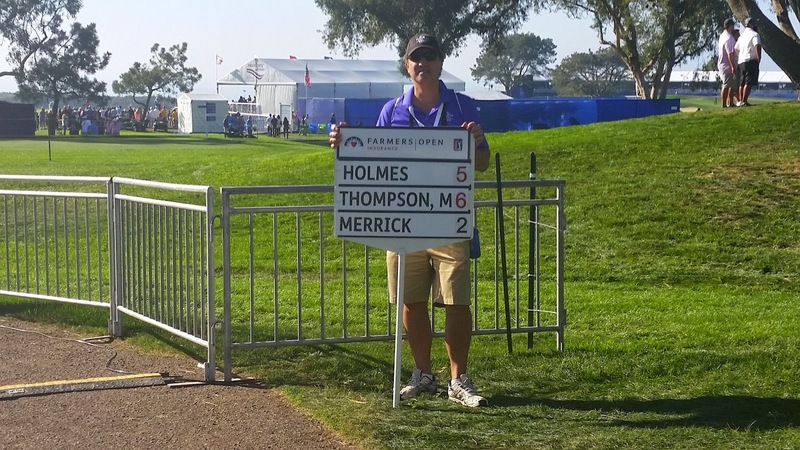 Michael Thompson is back at a tournament he knows well - the Honda Classic. 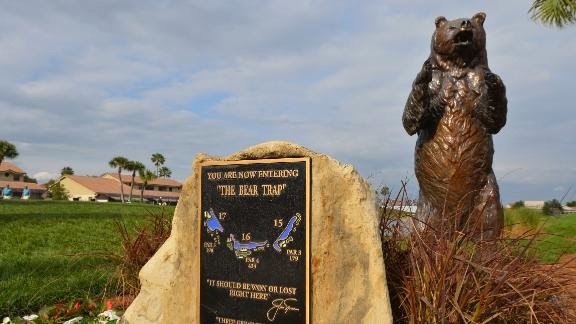 It's the site of his first PGA Tour victory back in 2012, The Jack Nicklaus designed PGA National Champion Course is known for its three hole stretch known as the Bear Trap and is considered the most difficult course in Florida. Michael will be playing with Ian Poulter and Stewart Cink. They tee off Thursday morning at 7:25am ET from the tenth hole. Michael Thompson shot three over par and is tied for 85th after the first round of the Northern Trust Open. He had what I would consider one of the "Most Colorful" scorecards of the day, with only 7 pars, four of which all came at the end of his round. He'll be teeing off for round two at 7:43 PST with Woody Austin and Ken Duke. He'll be teeing off at 12:23 PST with Woody Austin and Ken Duke. 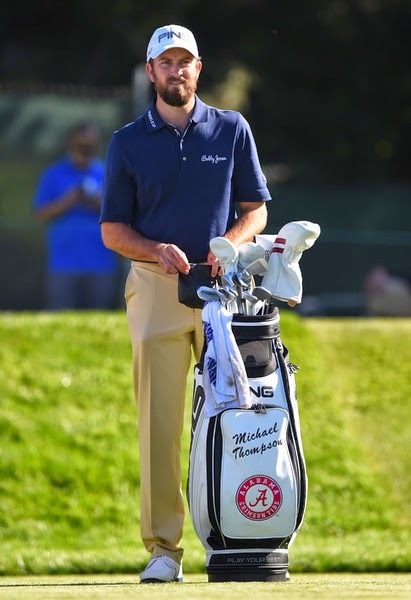 Michael had a mention in an article about Nick Saban and Alabama golf coach Jay Seawell. Michael Thompson's birdie parade failed to materialize Friday on the Shore Course at Monterey Peninsula Country Club. Four bogeys were offset by a lone birdie, which dropped him down to T-109. 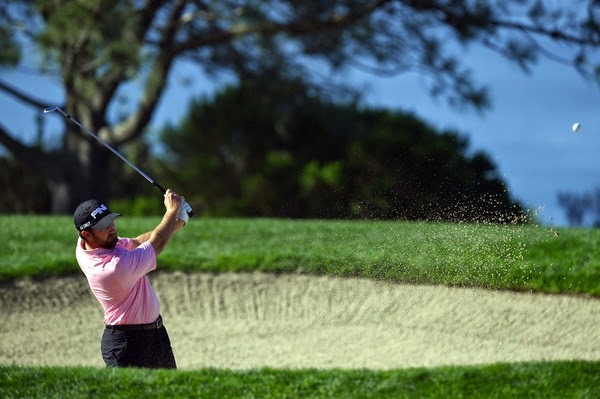 He'll be looking to gain back some momentum and make the cut today at the third golf course of the week: Spyglass Hill Golf Club. He tees off at 9:39 am with Jason Day. 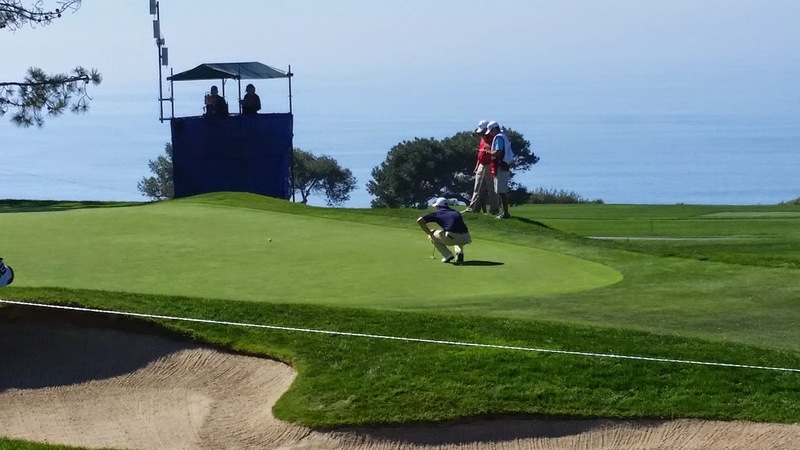 In his final round at Torrey Pines last week, Michael Thompson carded seven birdies. 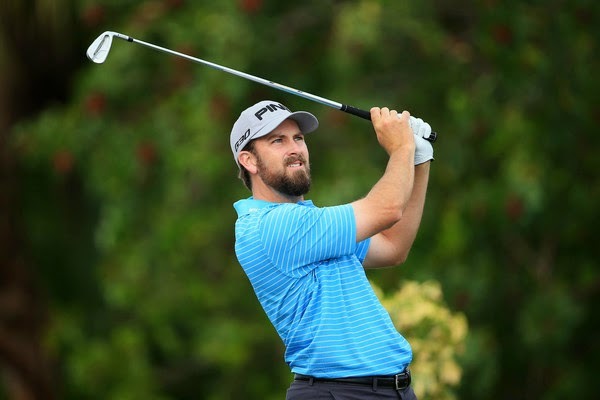 Today at Pebble Beach, Michael continued the birdie barrage as he had another eight birdies during the first round of the AT&T Pebble Beach National Pro Am. He finished the round at four under par and he is currently tied for 26th. Michael's round wasn't without its difficulties. He had four bogeys on his card including one on the 18th hole after his first drive went left into the Pacific Ocean. He had to re-tee and went left again. This time, playing partner Jason Day found Michael's ball on the rocky beach. Michael managed to save his bogey by dropping a 25 foot putt. 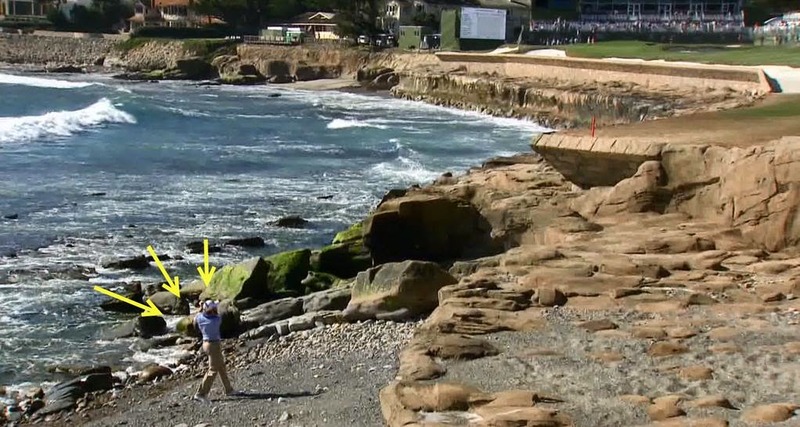 Michael Thompson hits his third shot from the beach on the 18th hole of Pebble Beach. Photo posted by Golf Central on Twitter. Michael's putting was definitely the strongest part of his round. He was +2.478 in strokes gained putting which is currently second. He made puts of 19'2", 22'8", 25'2", and 28'10". Since Shot Tracker is only available at Pebble Beach, the stokes gained stats are only relative to players at Pebble Beach. Michael also chipped in from 12 yards on hole #13. 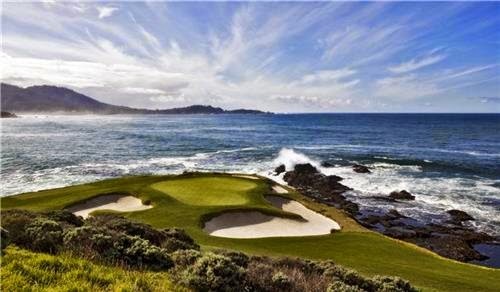 The AT&T Pebble Beach Pro Am is played on three separate courses. 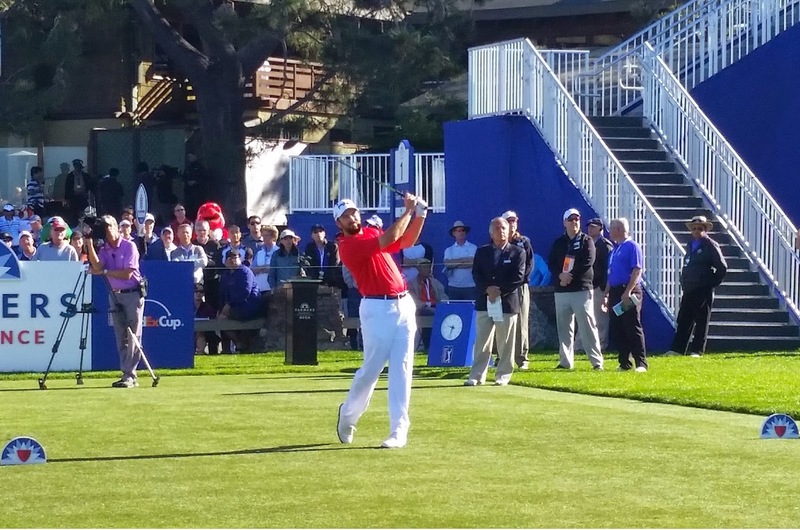 Michael, Jason Day, and their amateur partners will move on the Shore Course at the Monterey Peninsula Country Club. They will tee off on Friday at 8:11am PT. 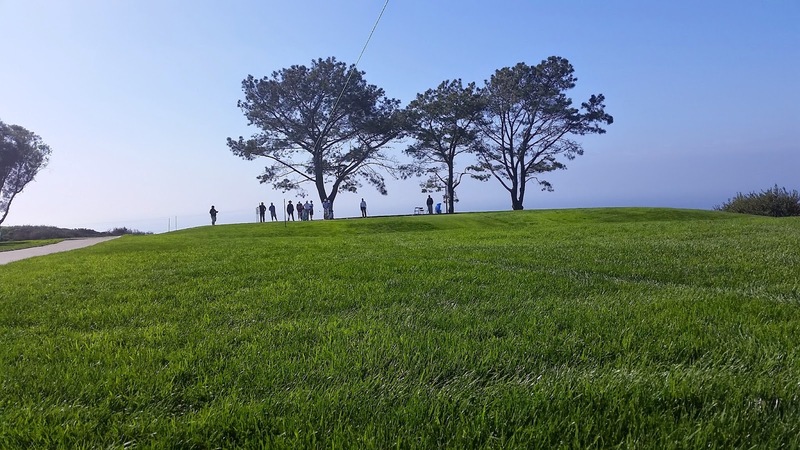 On Saturday they will move on to the most difficult of the three courses: Spyglass Hill. 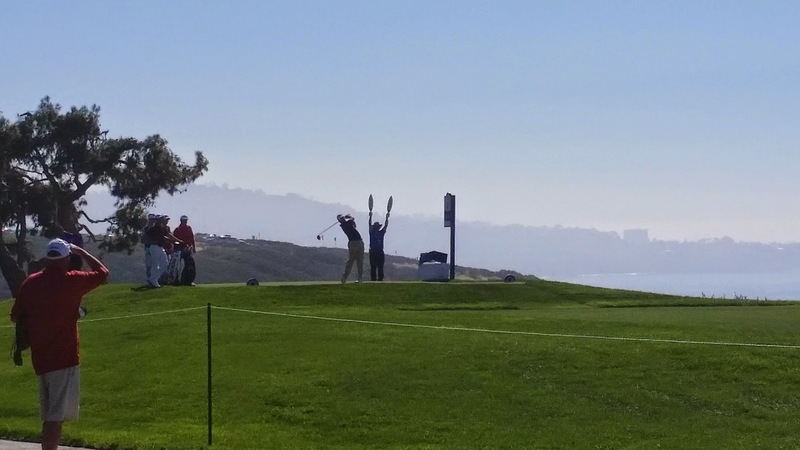 Michael Thompson and the rest of the PGA Tour have moved up the California coast to the beautiful piece of coast line between Monterey and Carmel. 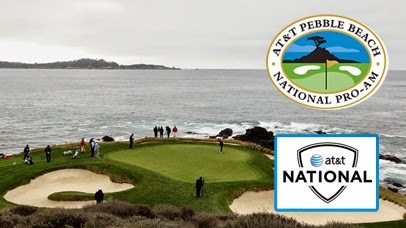 This week the AT&T Pebble Beach National Pro Am will be held on three iconic golf courses: Pebble Beach Golf Links, Spyglass Hill, and the Monterey Peninsula Country Club's Shore Course. Michael is paired with Jason Day and they will be playing with a couple of amateurs from the business world. They get their first round underway at Pebble Beach starting at 8:55am PT on the first hole. Look for longer rounds than normal since they are playing in foursomes and each group has two amateurs in them. 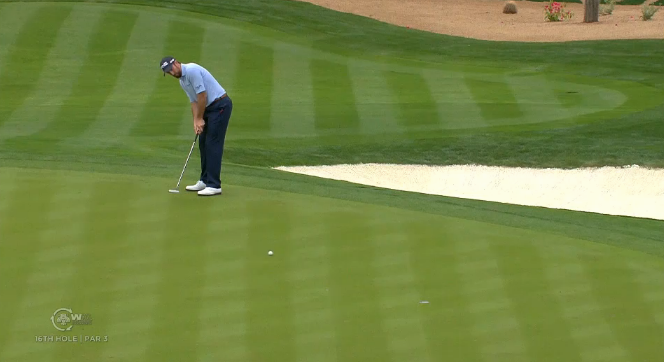 It was an eventful final round at the Farmers Insurance Open for Michael Thompson. He carded a remarkable seven birdies under difficult breezy conditions Sunday afternoon. 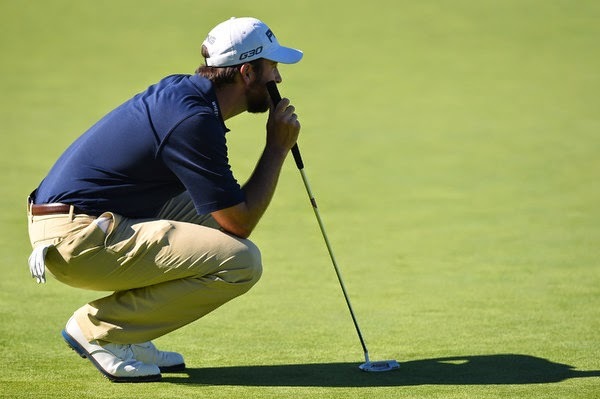 They were balanced by five bogeys but ultimately his two under par 70 was tied for the seventh best round of the day. 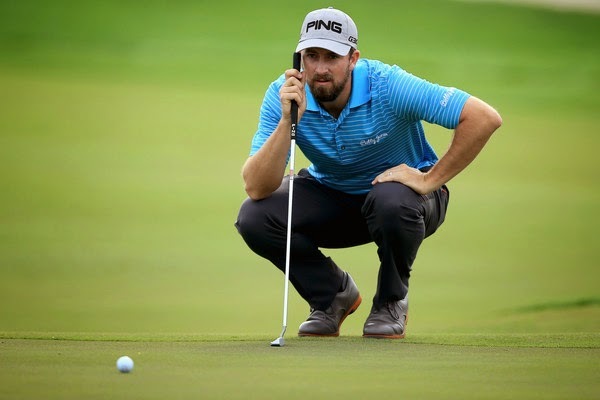 It moved him to six under par for the tournament which was good enough for a T11. 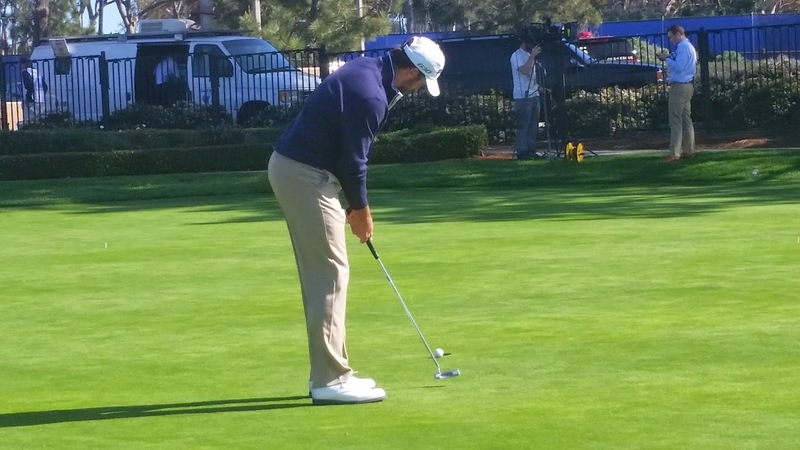 It was by far Michael's best finish of the young 2014-2015 PGA Tour season. 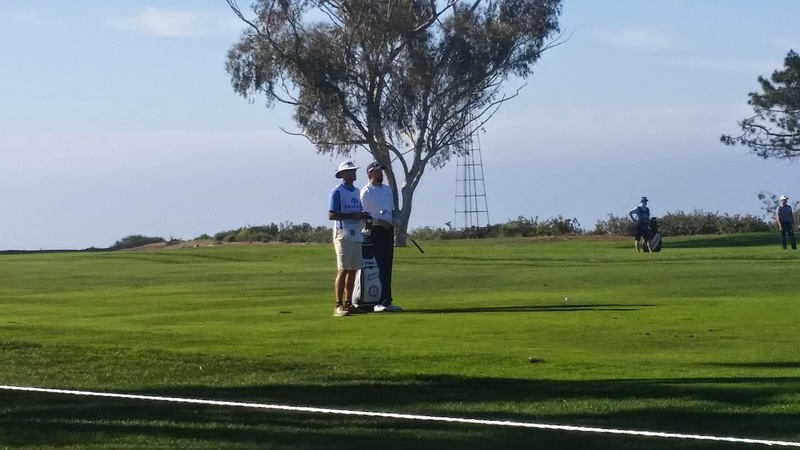 For the second straight day, Michael took advantage of the four par 5's at Torrey Pines South. He birdied all four of them on Sunday. The strong finish moved Michael up to 121st on the money list and 145th on the FedexCup points list. This week he moves up the coast to the AT&T Pebble Beach National Pro-Am on the beautiful Monterrey Peninsula in central California. 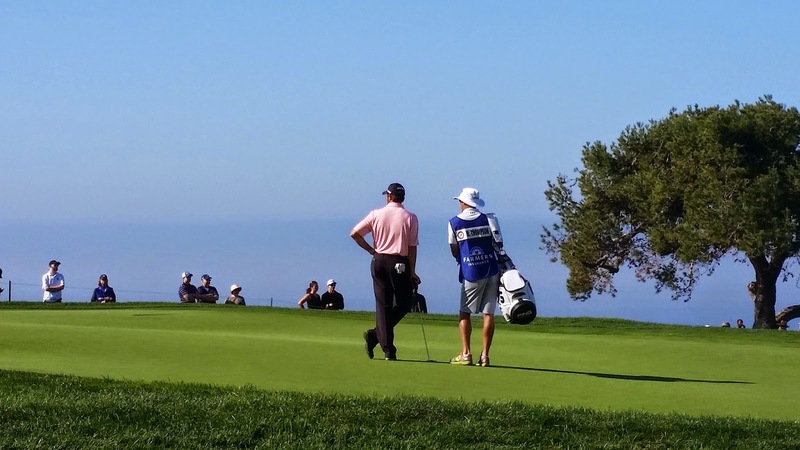 Michael Thompson and his caddie Matt Hughes wait on the fifth hole of Torrey Pines South during the final round of the Farmers Insurance Open. 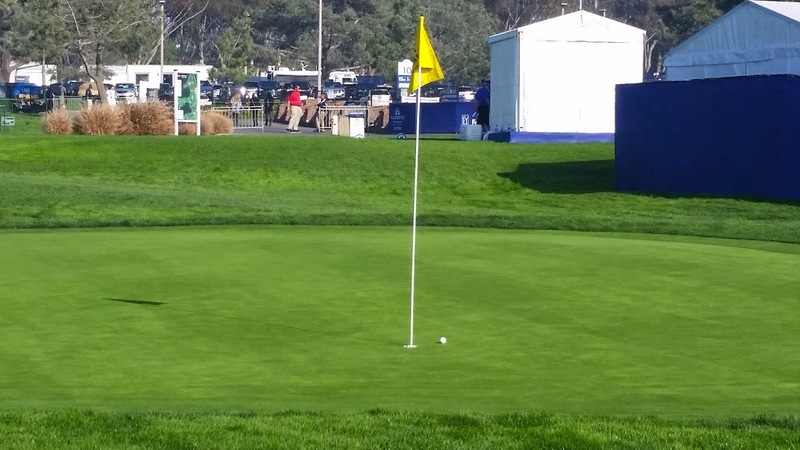 Michael Thompson hits his third shot on the par 5 9th hole on Torrey Pines South during the fourth round of the Farmers Insurance Open. He would end up birding the hole after his chip game to rest 7'6" form the hole. 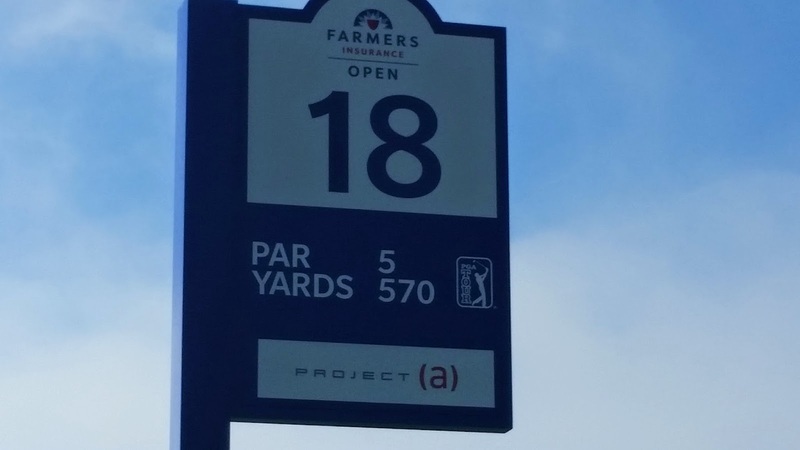 During Saturday's third round at the Farmers Insurance Open, Michael Thompson struggled on the par fours on the Torrey Pines South course but was superb on the par fives. He finished the round at two over par and is currently tied for 21st. On the day, Michael was six over par on the par fours which included a double bogey on the forth hole when he drove the ball left into the native scrub brush and had to take an unplayable lie penalty. But while he struggled on the par fours, he excelled on the par fives. He was four under par on the four par fives after making two birdies and an eagle. His eagle came on his final hole of the day when his second shot from 260 yards came to rest a mere four feet 10 inches from the hole. 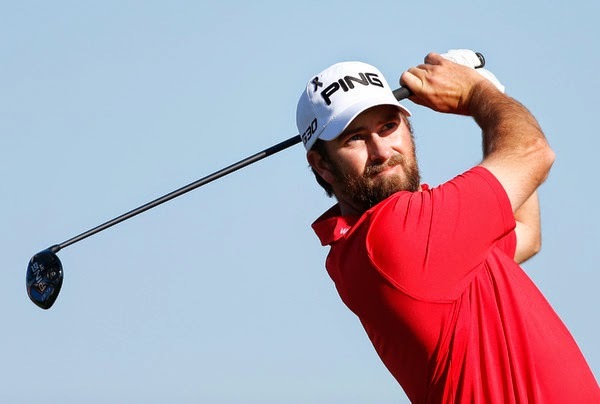 For Sunday's final round, Michael will be playing with with Brendon De Jonge and Jamie Donaldson. They tee off from the first hole at 8:50am PT. 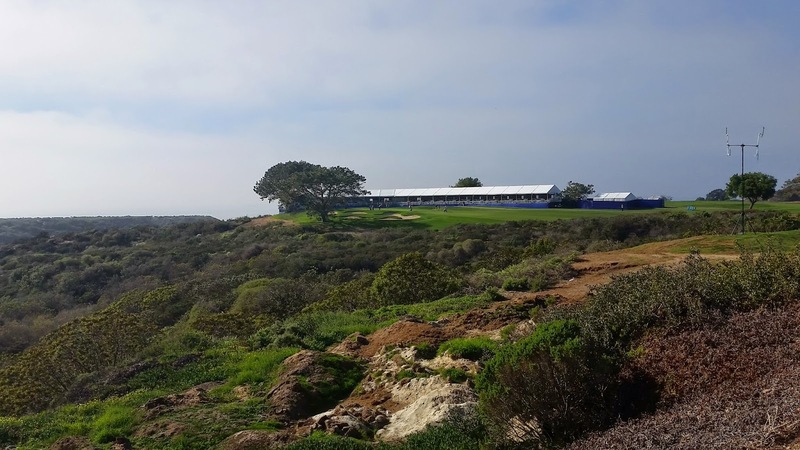 Michael Thompson fought his way through the South Course at Torrey Pines in the second round of the Farmers Insurance Open finishing his round at one over par. He is six under par for the tournament and tied for sixth. His round got off to a slow start after he had back to back bogeys on his second and third holes of the day. 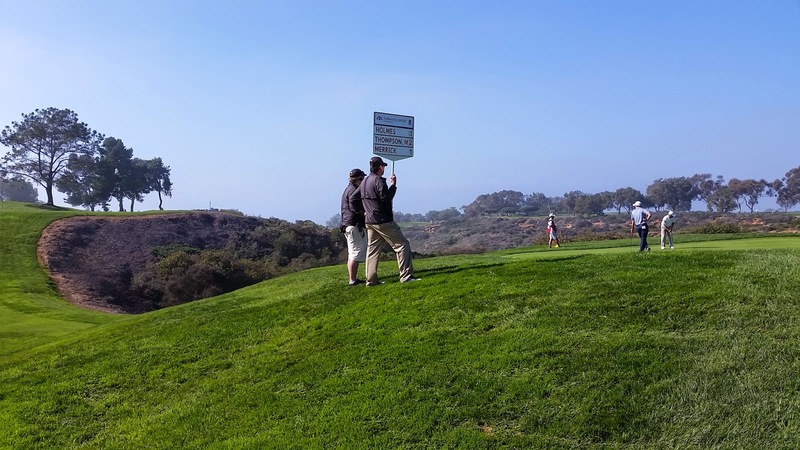 The South Course at Torrey Pines is one of the most difficult and tour because of its length and penal rough. Michael's dropped shots were the result of missing greens and fairways. After his back to back bogeys Michael ground out seven straight pars including a nice par save on 17. He then missed the green on hole number two which lead to a bogey and he followed that with another bogey on the par three third hole after missing the green to the left. At that point Michael was sitting at four over par for the round. He didn't panic but instead continued playing calm and steady. He then had his best stretch of the day when he parred the forth hole and then ripped off three consecutive birdies. He birdied the fifth hole after a perfect drive and approach that left him inside a foot for a tap in birdie. He then birdied the par five sixth hole. His drive on the seventh hole missed the fairway far to the left. It was the first (and only) time Michael had been outside the ropes in the first two rounds. He got a free drop to move away from a temporary structure and then hit an amazing recovery shot to 3 feet 8 inches. He went on to par his remaining two holes. Michael birdies hole #6. His second of three consecutive birdies. 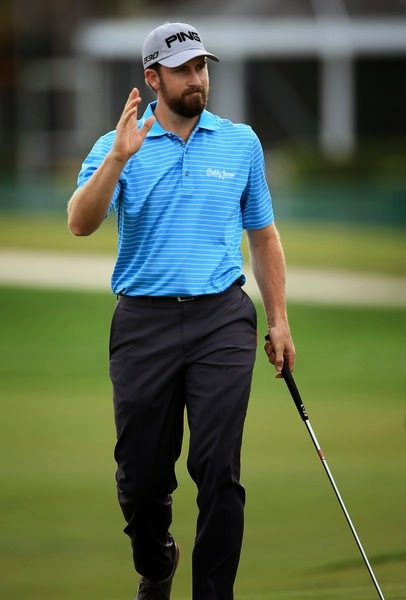 Michael will be paired with Spencer Levin and Marc Leishman for Saturday's third round. They are scheduled to tee off at 9:30 PT. 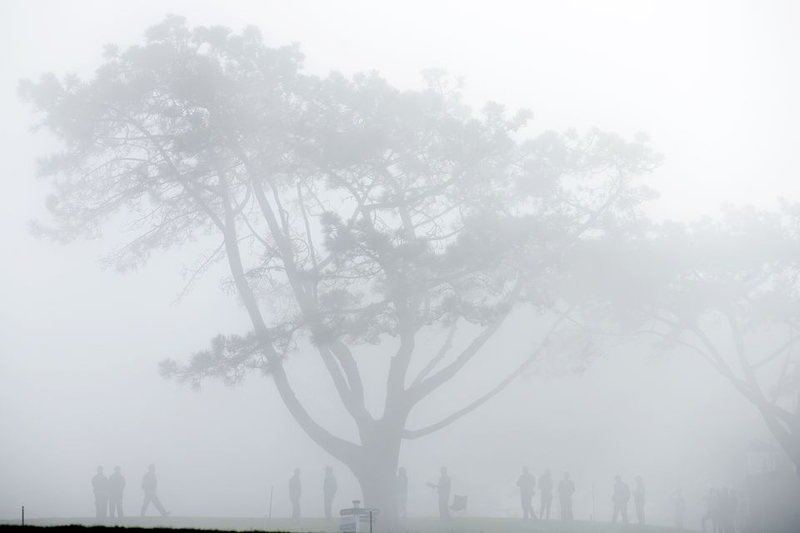 However both of the first two rounds were delayed due to early morning fog. Michael Thompson tees off from the fourth hole on the South Course at Torrey Pines. Due to a two an a half hour fog delay earlier in the day, Michael Thompson and his group were 16 holes through their round when it really started to get dark. Late afternoon fog wasn't helping either. They played the short par three 17th hole and quickly moved to the 18th hole tee box. A course official came up to Michael and his group (J.B Holmes and John Merrick) and asked them if they wanted to start the 18th before he blew the horn signaling the halting of play for darkness. All three players indicated they wanted to finish. Since Michael had just birdied the 17th hole he had the honor of teeing off. He hit his tee shot and then the official blew the horn. Since a member of the group had hit their tee shot, the entire group had the option of finishing play on that hole which is exactly what they did. In very low light, all three players went on to birdie the par five 18th and finish their rounds. A nice win-win to end the day. 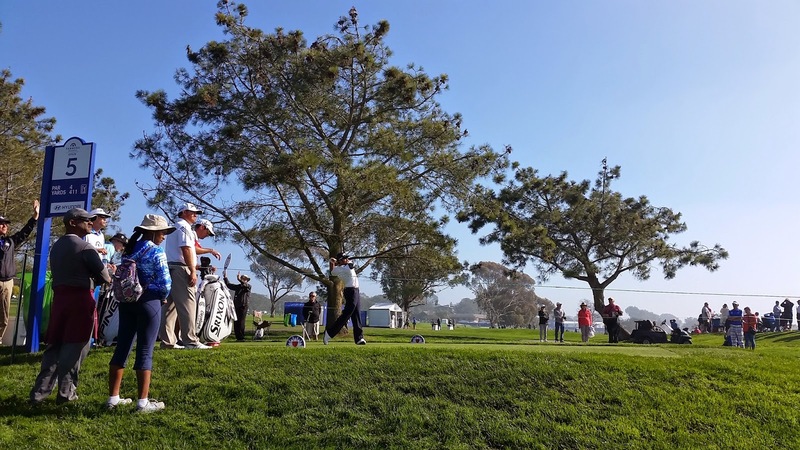 It's been a couple of years since Michael Thompson has competed at Torrey Pines but he is back in San Diego for this year's Farmers Insurance Open. He got a light bit of practice Wednesday in preparation for Thursday's first round. 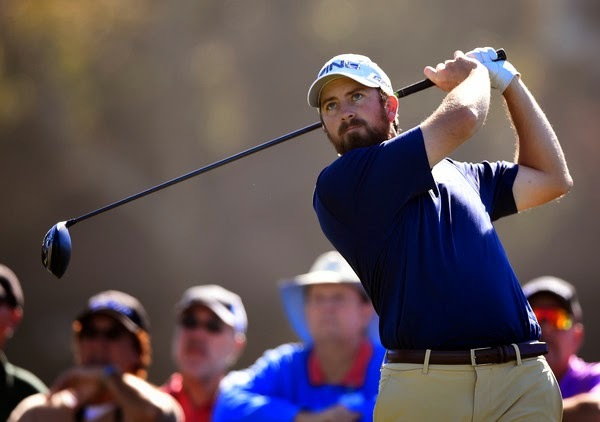 Michael will tee off from hole #1 of the North Course with John Merrick and J.B. Holmes on Thursday at 10:30am PT. Michael Thompson watches his birdie putt on hole #16 during round three of the Waste Management Phoenix Open. 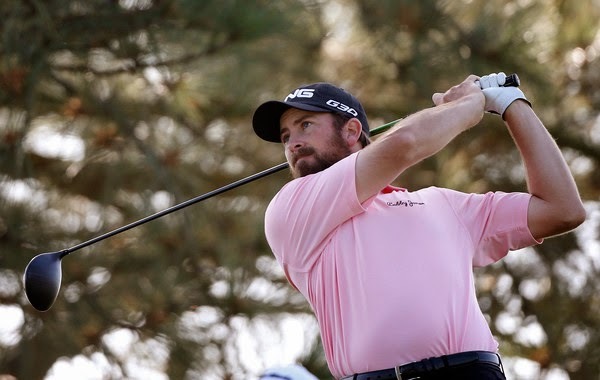 Micahel Thompson will be playing in the Waste Management Phoenix Open's final round today. He is currently tied for 59th at even par. He is paired with Nick Taylor and Ricky Barnes. They tee off from the tenth hole at 10:15am local Phoenix time.